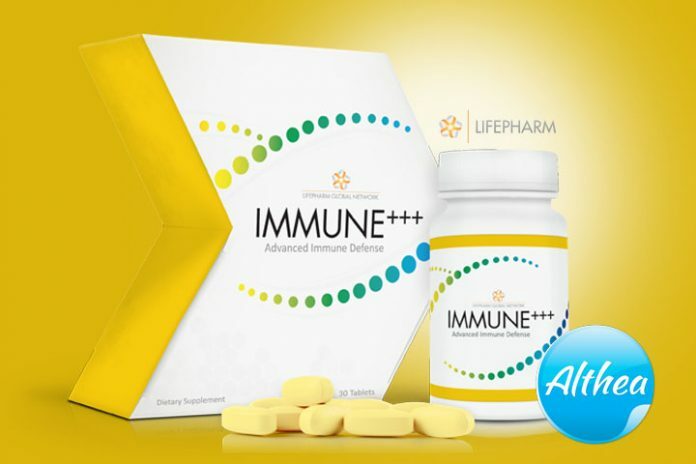 LifePharm’s Immune+++ contains the “Polysaccharides Complex”, which is a combination of plant extract and mushrooms. The powerful blend of these mushrooms gives you a powerhouse of immune benefits against colds and infections. These mushrooms have traditionally been known to support the immunity. 7. Sea Buckthorn – Recently been studied for its benefits to protect the DNA during radiation damage. Found in China, Mongolia, Russia, northern Europe and Canada, it has cell protection properties supporting the immune system. Berries, fruits, and herbs that have long been used in traditional medicine practices are showing astounding results in recent studies in the areas of immunology, heart health and for chronic age related situations. Combining science and nature, LifePharm has researched and selected the best nature has to offer in a supportive blend of additional herbs and fruits to activate and fortify the Vitamin C blend known as Life-C in IMMUNE+++. Systemic Review. The Journal of Alternative and Complementary Medicine; 2015;21;1;8-14. 2. Basu A1, Penugonda K Pomegranate juice: a heart-healthy fruit juice. Nutr Rev. 2009 Jan;67(1):49-56.
activity in acerola (Malpighia Emarginata DC.) fruits and derivatives”. Journal of Food Composition and Analysis 21 (4): 282–290. in healthy adults. Plant Foods Hum Nutr 2015 Mar;70(1):9-14.
rhamnosides (sea buckthorn) extract in vitro. Int J Health Sci (Qassim). 2008 Jul; 2(2): 45–62. 6. Mishra LC1, Singh BB, Dagenais S. Scientific basis for the therapeutic use of Withania Somnifera (ashwagandha): a review. Altern Med Rev 2000; Aug;5(4):334-46. There is no difference if we base it on the efficacy of “Vitamin C” per se. However, to say that its organic Vitamin C can be a misnomer or false advertising unless you’re eating fresh fruits rich in Vitamin C. Even if a label says it’s “natural,” although they are sourced from plants, fruits, animals, and minerals, it’s refined and processed in a lab and labelled as “natural.” Ironically, it only needs to have 10% plant or fruit derived ingredients to be called “natural,” the rest of the 90% could very well be synthetic. The point is, there really is not much distinction between quality Vitamin Cs, they’re all the same but what makes IMMUNE +++ unique is the right amount and combination of all the “natural” ingredients that it has. The IMMUNE+++ blend is not your ordinary Vitamin C. It’s formulated with a unique delivery system that enters the body faster and stays in the body longer.